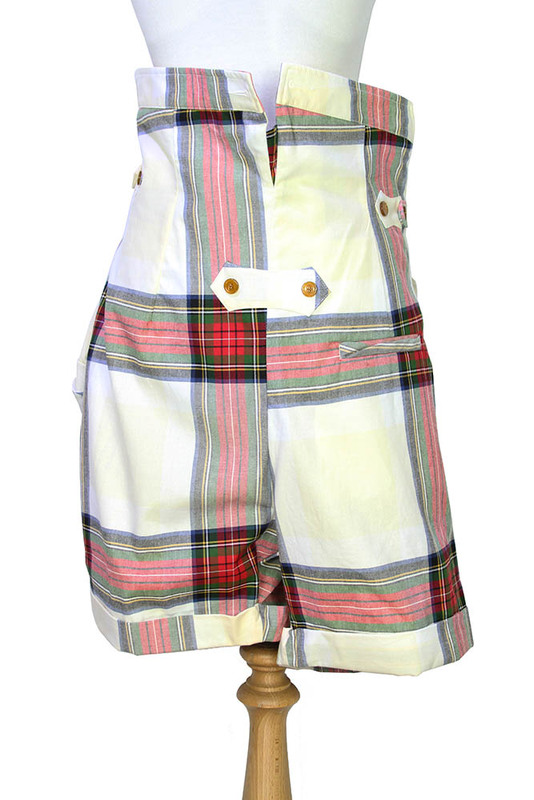 Vivienne Westwood Mainline Federal Tartan 'New Drunken Shorts' in 100% cotton. Blotched, off-white base with Tartan stripes, bold and faded. Buttons for braces. Long 7 button fly fastening. Turn ups at hems. Button and fabric tab waist adjusters at each side. Button detail at rear, which could be used as low braces fastenings. Single pocket at the rear, low right. These are amazing shorts, extra special and match the jacket in the same fabric, to create a wonderful look!